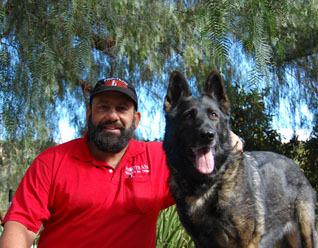 Useful Pet Health Tips for People with Senior Dogs | Dog Trainer in San Diego: The Dog Man Can. Are you a long-time pet owner with a senior dog? As your beloved dog gets older, their health requirements change. They may need different nutrients, higher-quality protein, fewer calories, slower walks, and warmer climates. Taking care to accommodate an older dog will help keep them happy and stave off age-related decline. Whether you’ve recently adopted a senior dog or you’re noticing some signs of aging in your lifelong friend, here are some tips to keep them healthy and comfortable. Helping your dog maintain a healthy weight may get a bit more difficult as they grow older. Senior dogs tend to be overweight, putting them at risk of serious heart or blood pressure complications. Weigh your senior pet on a regular basis so you can make changes to their diet or exercise routine and keep them healthy. Bring your pet to the vet for a checkup if their weight changes by 5 to 10 percent, as this could indicate a more serious health condition. CBD oil is a hemp-derived product with numerous health benefits. In human studies, CBD has been found to treat pain, control seizures, stimulate appetite, reduce anxiety, and support heart health. 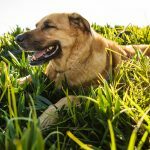 Several pet owners have found that dogs can enjoy many of these same benefits; CBD oil may be particularly useful for dogs with joint pain, inflammation, skin issues, and anxiety. 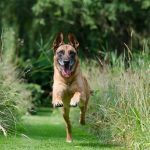 CBD oil even has cancer-fighting properties and may contribute to the death of tumor cells in dogs. For help picking the right oil for your dog, check out a CBD buyer’s guide for an organized breakdown of the best CBD oils of 2019. However, make sure to talk with your vet before starting any new treatments on your dog. Senior dogs should visit the vet at least once every six months. This frequency allows vets to catch health changes quickly and can set you up with a treatment regime to prevent long-term problems. During wellness exams, your vet may recommend diagnostic tests to check for age-related health conditions. VCA recommends having your pet tested before they develop an illness to give your vet a baseline for comparing future results. Also, ask your vet to conduct an oral exam to ensure your dog’s teeth are healthy. According to Dog Quality, dogs of all ages and breeds are extremely prone to oral hygiene problems. Although this may not cause too many problems for young dogs, dental disease can lead to many health issues in older pets. Poor dental health can negatively affect the heart, liver, kidneys, lungs, and digestive system. On the other hand, pets that receive regular dental care tend to live about two years longer than pets that do not. The best way to care for your dog’s teeth is to brush them every day. Tooth-friendly foods, such as special kibble or dental treats, can also help support their dental health. Regular exercise will help improve your dog’s joint flexibility, muscle strength, and circulation. Try to take your senior dog on slow-paced walks every day. Give them time to explore, sniff around, and greet people — this stimulates a dog’s mind and keeps them sharp. 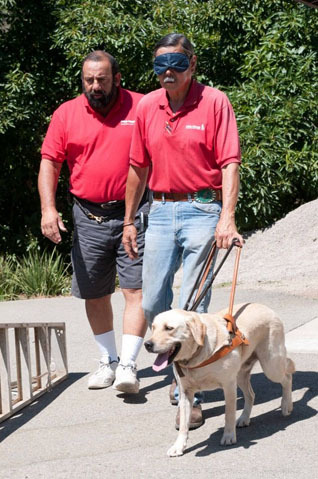 Let your dog walk you and pay close attention to their comfort. Make sure to keep your dog warm in cold weather since older pets have difficulty regulating temperature. You can make your senior dog more comfortable in your home by making a few accessibility adjustments. For example, consider getting a raised platform for their food and water bowls so your dog doesn’t have to strain their neck to drink or eat. Non-slip mats can reduce the hazard of slipping on hard floors, ramps or stairs can help your dog get onto your couch, and comfortable bedding can reduce arthritis pain. Putting in the time to care for your senior dog can make a huge difference in their quality of life. This extra care may even strengthen the loving bond between the two of you. 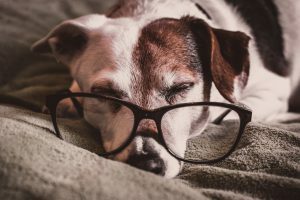 Although you can’t do anything to stop your beloved pet from growing older, you can at least ensure their senior years are spent in good health and happiness.